Wednesday, August 22, 2018 - Uganda People's Defense Forces (UPDF) have released a first video of opposition MP, Robert Kyagulanyi better known as Bobi Wine. This is the first public image of the youthful MP who was arrested last week. Uganda’s President Yoweri Museveni is under pressure to release the youthful MP following global condemnation. 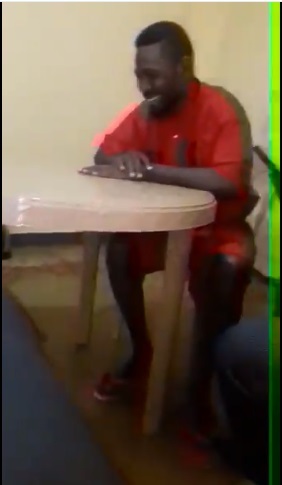 From the short clip (8 seconds long) Bobi Wine is seen wearing a red prison uniform and slippers, smiling.